California Auto Accident Lawsuit - Each state has its own set of rules pertaining to the length of time the injured party has to file a lawsuit. 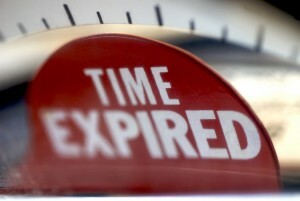 For auto crash cases for bodily injury in California, the general time limit is 2 years. This means that the correct documents must be submitted at the correct courthouse no more than two years from the date the harm arose, including the day that the collision occurred. A failure to submit it before the applicable period expires, otherwise known as the statute of limitation, will bar the victim from recovering anything at all. It does not even matter how good of a case they have! Because of the statute of limitations, or SOL for short, anyone who is damaged by another should consult with an attorney as soon as possible. Waiting too long could result in no lawyers taking the case, either because the SOL has run or that there is no longer enough days to prepare and submit the lawsuit appropriately. While the general rule is two years, there are circumstances where it is extended. Where there is an extension beyond the general 2 year rule, this is known as "tolling." Since complex legal principles must be applied in order to determine whether an exception exists, consulting with an motor vehicle accident attorney is a MUST. To discuss your situation directly with an experienced litigation attorney, call Napolin Law Firm at 909-325-6032. Or visit www.napolinlaw.com to send us an email. All consults are free of charge. 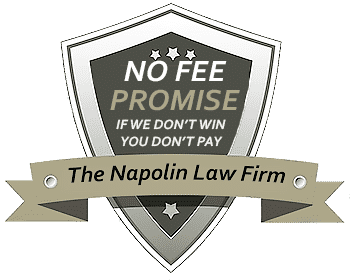 Where Napolin takes on representation, the client only pays from the proceeds of a successful money recovery. One circumstance that creates a tolling situation is where the victim is a minor. For that minor and for them alone (not for adults who also may have be hurt in the collision), the 2 year period does not start to run until their 18th birthday. For example, if a minor is harmed on their 16th birthday, they have until the day before their 20th birthday to file an auto accident lawsuit. The same goes for those who experience a coma. Under those circumstances, the clock only starts counting on the date that the incapacitated party wakes up. Avoid California Auto Accident Lawsuit Time Limits Contact a Lawyer Now! Another circumstance that creates an extension is where harm occurs, yet is not discovered right away. The rule says that clock does not start ticking against the 2 year period until the day that the injure party actually discovers the harm. This is an objective standard, meaning that the counting begins on the date that a reasonable person would have discovered the health problem. The reasonable individual standard puts a duty on each and every victim to take the steps that a reasonable person would take to discover the health condition. Therefore, if you have been hurt in a bus, truck, motorcycle or car crash, be sure to seek medical help as soon as possible. Ignoring the suspected health issues does not extend the SOL just because you did not go to the doctor for a formal diagnosis. For example, back pain will trigger knowledge of a slipped disc even if a doctor does not tell you that you have a slipped disc! If the driver who is the cause of the harm is working for a public entity and the entity is to be sued, a claim must be submitted within 6 months of the accident. 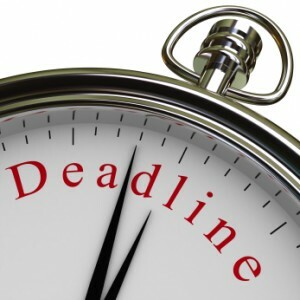 A delay in filing a claim form can result no recovery even where the claim is a good one. Few exceptions exist and a lawyer should be consulted immediately if you intend to bring action for bodily injury against the public. Some municipal entities (and their respective subdivisions included) are cities, states and counties. Therefore, those injured in a bus accident or collision with a police patrol car should get right to a personal injury lawyer immediately.